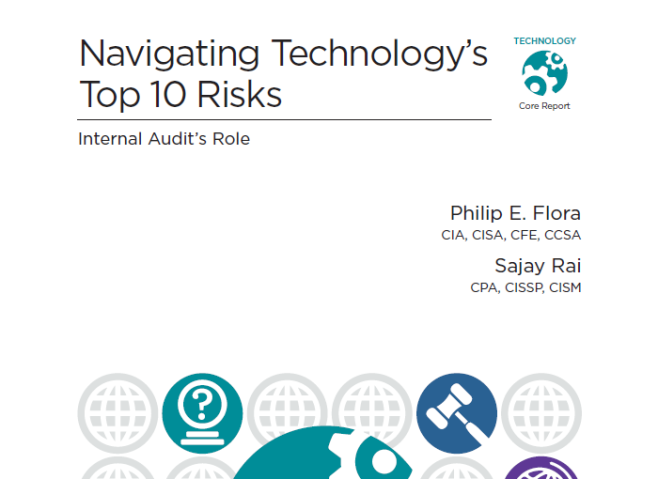 Internal Audit plays a critical role in helping organizations navigate through myriad of technology risks. The IIA Research Foundation hired Securely Yours LLC CEO, Sajay Rai to work with Phil Flora to co-author this core report. You can find this report on IIA’s website or you can download the article via this link: Article. In addition, Journal of Accountancy’s writer Ken Tysiac interviewed Sajay Rai and wrote a brief update on the article. You can read Ken’s update via this link: Journal of Accountancy.